It’s been a few months since Michael Muhney‘s been fired from The Young and the Restless, but the fan furor has not died down. 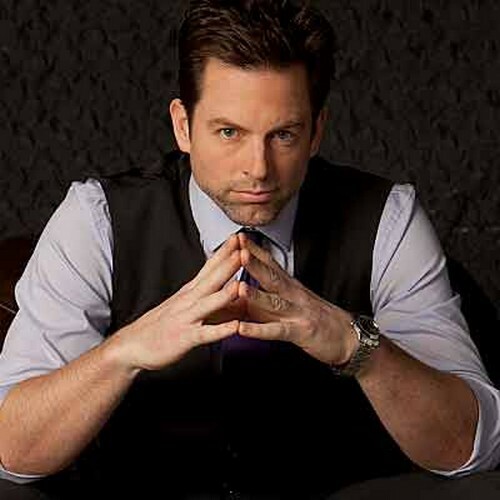 The debate is continuing to rage on over the decision to fire Muhney, especially since we now know that Muhney’s character, Adam Newman, will be returning to the show. Obviously, the casting process is currently underway, and although it was initially rumored that Trevor St. John was the frontrunner to take over the role, sources have told us that St. John will definitely NOT be offered the role. In fact as our friends at Soap Opera Digest just announced a casting call has gone out to replace Michael – but not for Adam Newman, rather for an Aaron Newman – so you know that this is ringer for Adam, right? Jill Farren Phelps doesn’t dare out a call for Adam Newman directly, does she? Can you imagine the furor if she did? You see the trick is that Adam Newman was burned in the accident – as we discussed in detail previously, this means that the new Adam can look somewhat different than Michael Muhney because of the plastic surgery he requires after the accident. Auditions are still taking place, but if there’s one thing that’s becoming clear, it’s that fans won’t be happy until Muhney’s back. Most fans have been voicing their concerns through message boards and Soap Opera Spy’s Facebook page, and without a doubt, it’s very clear that all of them are still clinging to the hope that Muhney will return. Fans are also taking out their anger on Jill Farren Phelps, the executive producer behind the decision to fire Muhney. She’s the one who reportedly decided to axe Muhney after the sexual harassment scandal, and she’s the one who’s handling the search to replace him. Recent reports stated that she told the writers to manipulate the storyline to allow Adam’s return to the show, which definitely means that they’re starting to narrow down their search for the new Adam Newman. Now that the casting call is out we know it won’t be long. But regardless of who she finds, she’ll still be the target of the fans’ wrath. The fans are ranging from begging for Muhney’s return to calling for Jill’s head, and almost all of them are furious that Muhney’s going to be replaced so quickly after his departure from the show. Really, I feel sorry for whoever eventually gets chosen to replace Muhney – they’re in for one hell of a ride. Now that we know it’s not going to be Trevor St. John, it’ll be interesting to see whether they go with an unknown or cast another soap regular. What do you guys think? Let us know your thoughts in the comments below. The Young and the Restless Spoilers: Adam Newman On His Way Home or Is Chelsea Losing Her Mind – Who Replaces Michael Muhney?